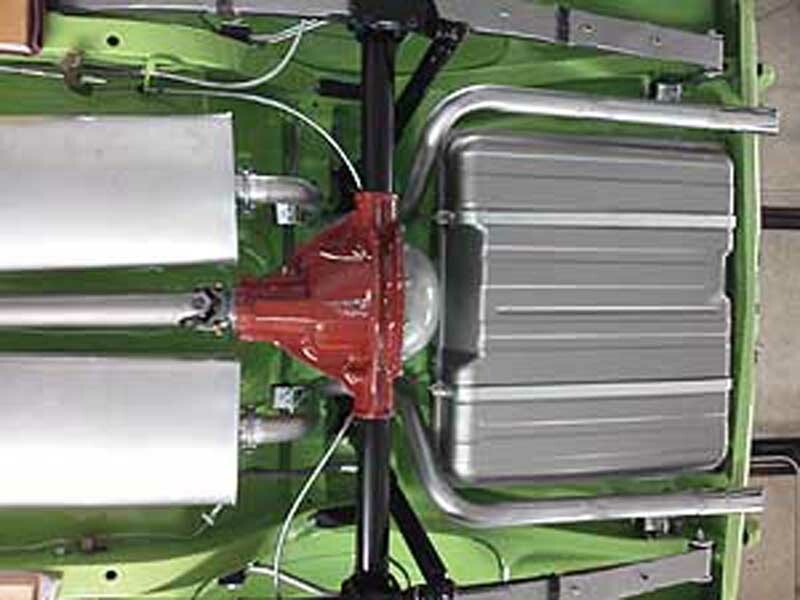 These exhaust systems consisted of 2″ front pipes, 2″ intermediate pipes and 2″ tail pipes. 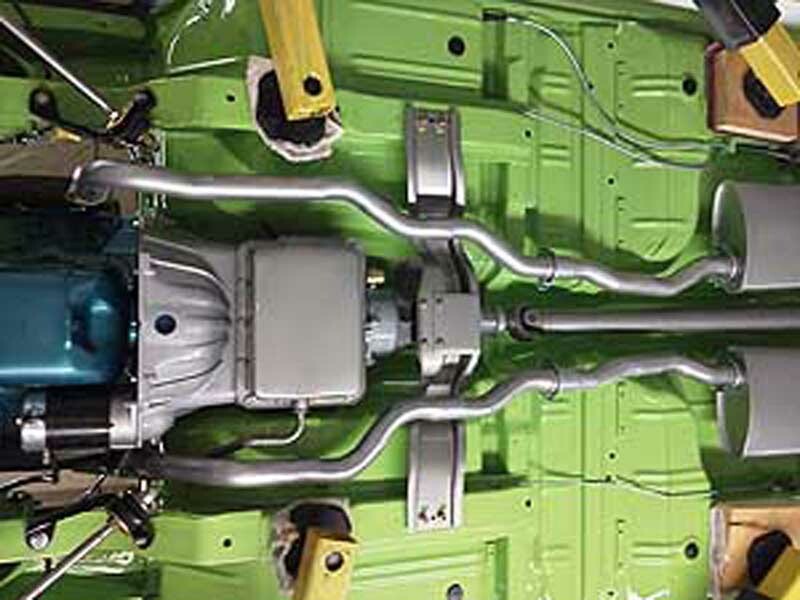 Our systems come as a kit with the correct head pipes, correct flanges, extensions, correct intermediate pipes, correct tail pipes with correct brackets welded on in the proper location, correct mufflers, installation instructions, diagrams and sealant. 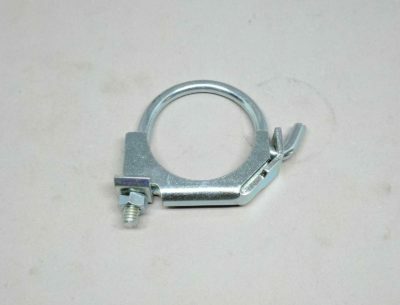 The correct q-clamps, correct strap clamps, correct chrome tips and hangers are an available option with the kit. . Ask about our concourse show pkg. for anyone who wants the system to look authentic but does not want to see the surface rust. These hangers are another Gardner Exhaust Exclusive reproducion. 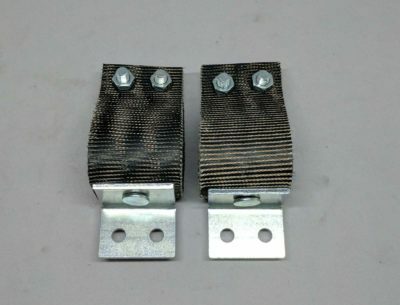 They come built with correct coreded rubbers and flat head rivets, correct bolts lock washers and star washers for easy installation. They are zinc plated and are available with any of our 1968 - 1970 AMX exhaust systems. As with any of our reproductions we encourage you to compare them to originals. 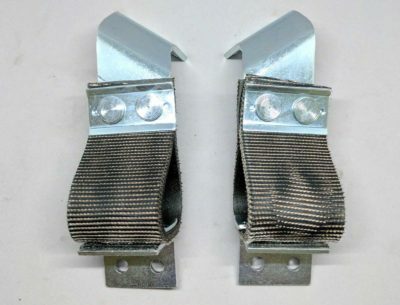 These are the correct tail pipe hangers for the 1968 - 1970 AMC's Our hangers come hand built with the correct corded rubbers, correct rivets, screws and star washers. 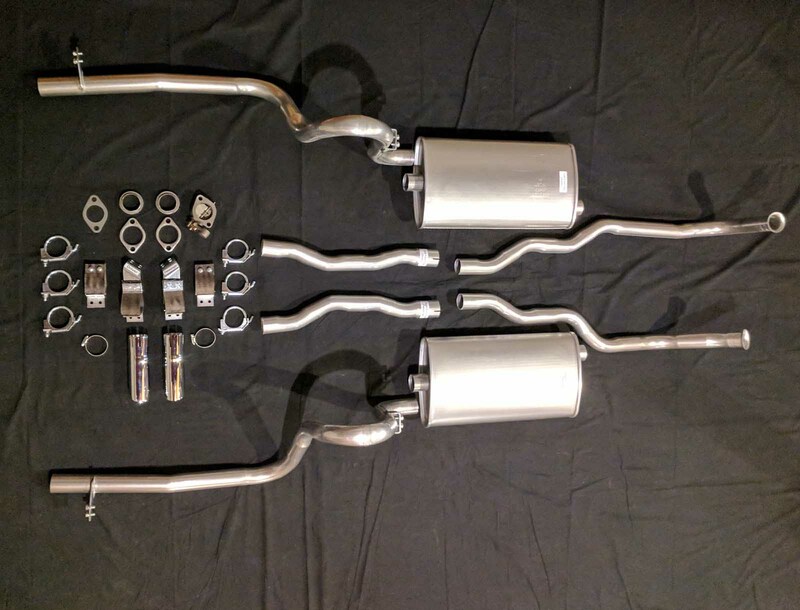 The hangers pictured here are another Gardner Exhaust exclusive reproduction and as always we encourage you to compare them to originals. 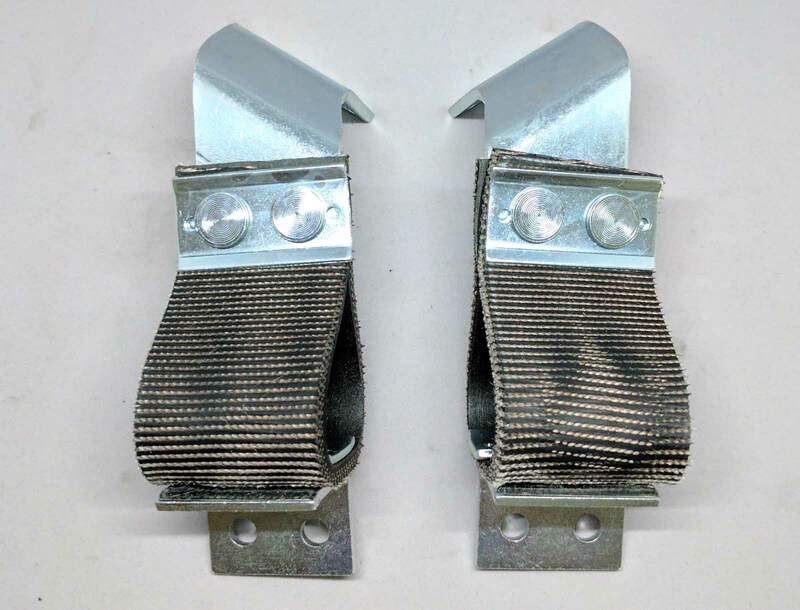 All the research we have done indicates AMC originally used this q-clamp on all the joint to joint locations on the AMX except where the tips were clamped on the tail pipes. Although this clamp is not one of our reproductions we have compared them to original and they are an excellent reproduction of the orginal clamp that outfitted the 1968 - 1970 AMX. 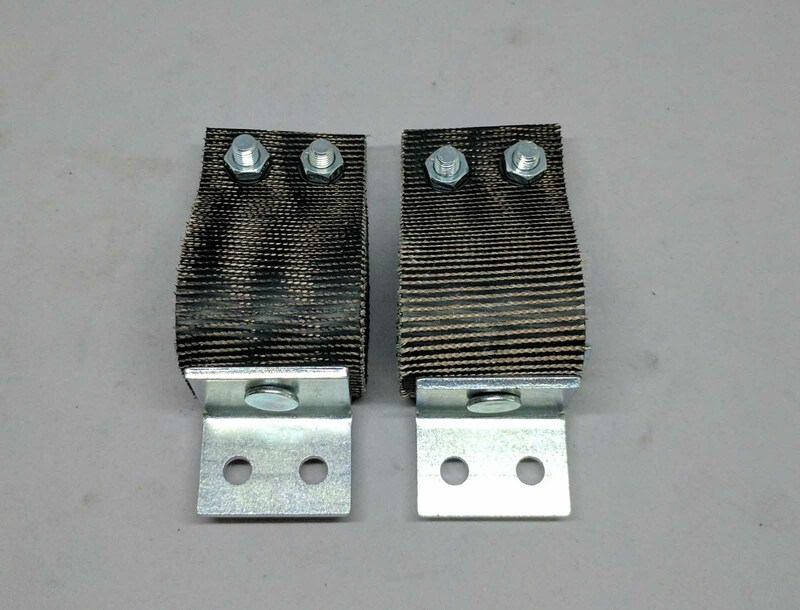 They come zinc plated and are available with any of our AMX exhaust systems. After carefully reviewing the present reproduction tips we could no longer look at them as an adequate piece providede by somebody else to accompany our exhaust systems. 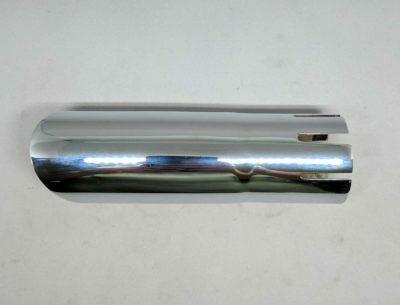 Our new reproduction tips are a Gardner Exhaust exclsusive reproduction. They are chorme plated over top of 14 ga tubing as original. As with all of our reproductions we encourage you to compare. 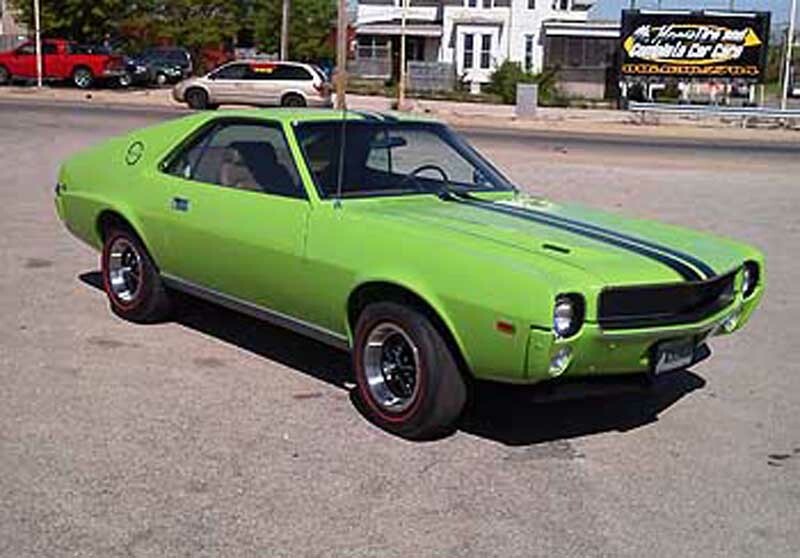 1969 AMX California Edition Restored by Jeff and Tony Paul of Custom Nardi Restorations.